These sloops will let you experience the ultimate in sailing comfort and modern amenities. 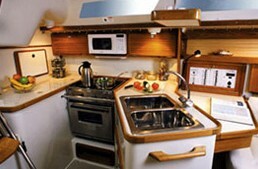 Full cabin with berth and dinette areas, galley and head. New electronics and CD/ stereo. 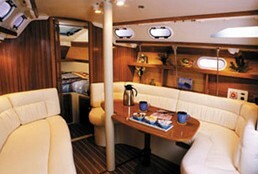 Large cockpit and stanchion mount seating make this sailboat comfortable for up to ten people. AVAILABLE FOR MULTIPLE DAY RENTALS. CALL 888-610- BOAT(2628) TO INQUIRE. Requirements: Previous Sailing Experience Required. 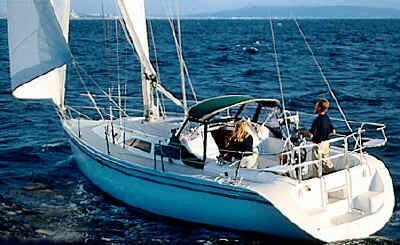 USCG Skipper: $70/2 hr, $25 any add'l hr + rental 1 Day & Night= $585.00 2 Day & Nught= $990.00 CALL 888-610-BOAT(2628) TO INQUIRE.